A kids ATV should be cleaned regularly especially after a muddy ride. 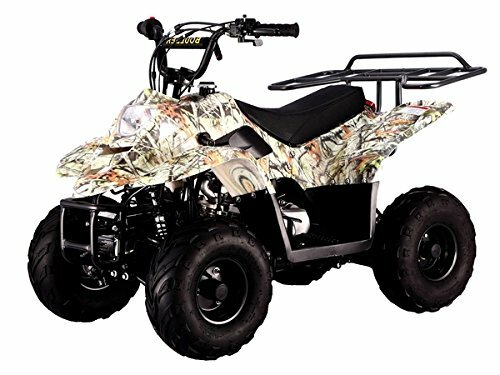 This is primarily because grime, grease, and dirt can hasten the wearing process on the essential parts of the ATV such as seals, chain, bearings, and sprockets. Make sure to lubricate and grease all moving parts such as sprockets, chain, and bearings. Air pressure is a key determining factor on how smooth your kids’ ATV rides are. Low tire pressure produces unpredictable handling and heavy steering, while too much pressure means a rough ride and accelerated tire wear and tear. To ensure the safety and durability of the vehicle, always check all the tires before a ride. It is super quick to pull out the air filters, wash and rinse it with a proper filter cleaner, sun dry it or blow it dry, treat it with a good filter oil, and put it back. Clean the air filters after every dusty ride or at least once a month. If you are living in a very dusty environment, I suggest using Arctic Cat Prefilter. Renewing your kid’s ATV oil and filter at least once in a year keeps your engine fresh and healthy. Check the level of fluid in the battery and if necessary, it should be refilled using distilled water. Use a mixture of baking soda and water to clean the battery. Ideally, add two spoonfuls of soda to a pint of water to create the right concentration. After the above steps are complete, it is important that the battery is connected to the charger and a trickle charge started. Rub some Vaseline or grease over the points. Check and tighten the positive cable connections. Cover the positive connection and conduct a similar test on the negative connection. Storing the ATV indoors especially during the cold season. Charging the stored ATV regularly even if it is not being used. 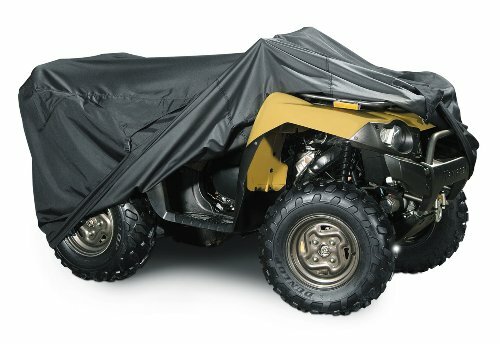 During storage, it is important that the important parts of the ATV are covered, so that dust does not gather. Regular cleaning should also be done to remove any dirt that might have gathered on the ATV when it is not in use. In conclusion, by following the above tips, you will make sure your kid’s ATV is well maintained and in proper running condition. The well maintained an ATV is, the safer it is to ride and the more durable it will be.